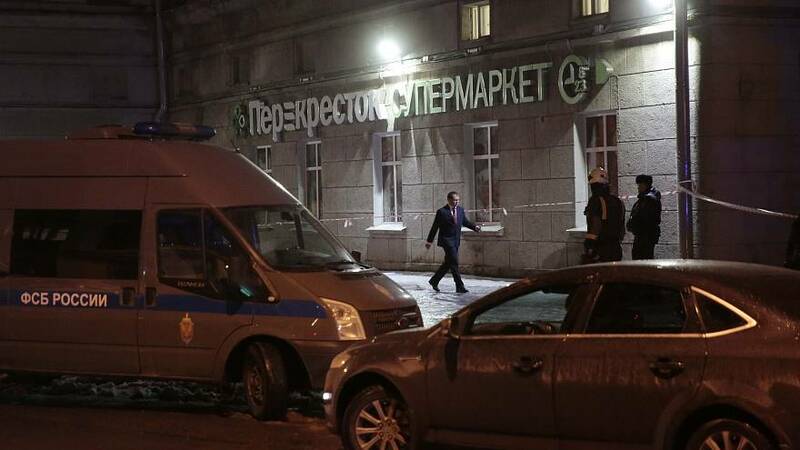 An explosion has been reported in a supermarket in the Russian city of St Petersburg, injuring at least 10 people. The explosion was caused by a homemade bomb packed with pieces of metal, according to investigators. A criminal case has been opened on grounds of attempted murder. Nobody was killed and the motive remains unknown. Russian media reports said the bomb had been hidden in a locker where shoppers leave their belongings in a branch of the Perekrestok supermarket chain. Investigators say the device had a force equivalent to 200g of TNT. The state-controlled RT channel reported that nine people had been taken to, adding that more than 50 people have been evacuated from the building in the northeast of the city. The explosion happened at the busiest time of the year in the run-up to the New Year celebrations. Thousands of people are said to have been in the shopping complex at the time.